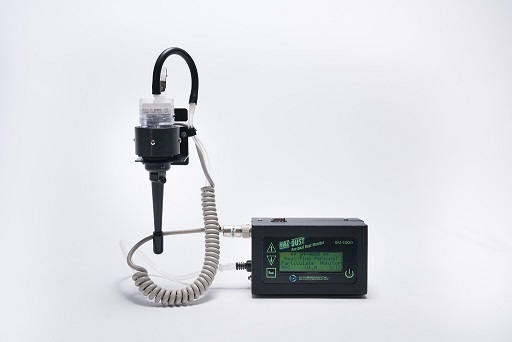 The Haz-Dust Model SM-4000 is a real- time, personal particulate monitor for silica. It is calibrated for silica with low resolution to meet the new OSHA regulation for silica. The device will read in ug/cu m and display in real-time both TWA and STEL statistics. The SM-4000 easy-to-clean optical sensor is mounted in the OSHA-defined breathing zone. The device accepts any 25 or 35mm pre-loaded filter cassette. The GS-3 validated cyclone meets the ISO 7708 standard.